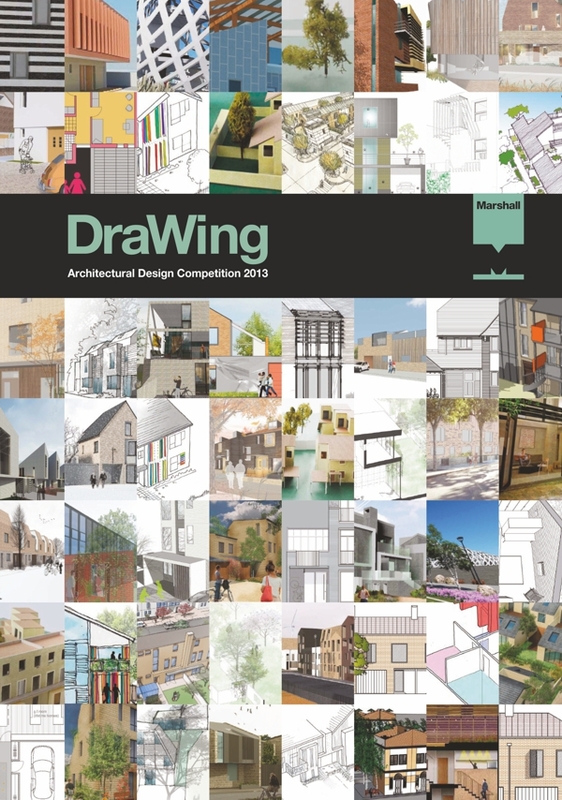 Miltoncontact: A unique Cambridge snapshot in time: The book "DraWing Architectural Design Competition 2013"
A unique Cambridge snapshot in time: The book "DraWing Architectural Design Competition 2013"
DraWing Architectural Design Competition 2013 is a book that provides a documentary of Cambridge, its business and creative community, and their views of a future Cambridge as imagined in 2013. The book captures a particular moment in time in Cambridge and a particular character. The country was just about to come out of recession; the Cambridge-based company, Marshall, was willing to consider a redevelopment strategy in the light of its history within the community; Cambridge architects were given a chance to showcase their ideas; and local communities, organisations, artists, councils and academia had their input to this project. The Marshall Wing development may go in a totally different direction in the future, but we have a record of where we thought we could go in 2013. Here are my personal perspectives on how this book came about; as the book’s publisher, an artist involved in the Public Art Steering Group for the Wing development and as a local businessman living in Cambridge. With over a century of tradition, Marshall of Cambridge has been part of the business community ever since David Marshall saw the opportunity provided by the first motorcars that he saw in France, back in 1905. The company formed a strong base in mechanical engineering, first servicing cars and ambulances in the First World War. It then grew into becoming Cambridge Airport, initially for the flying circuses, expanding into aircraft maintenance and then becoming the training ground for 20,000 pilots during World War II. And afterwards, they designed and manufactured the iconic drop-nose for Concord here in the city. Marshall owns a substantial area of land opposite the iconic art deco entrance to its airport site. An outline planning application has been submitted for Wing, a development of up to 1,200 homes, a primary school, commercial elements, public open space and associated development. Rather than the site being a purely commercial venture, Marshall has a sense of tradition and wishes to infuse some of Cambridge’s quintessential nature. I found out about the planned development almost coincidentally, when invited to take part in the Public Art Steering Group, seeking community and creative input right at the early stages of planning. Emma Fletcher, Property Director at Marshall, was the lead for the company and Matthew Lane Sanderson was the artist brought in to manage the group. I remember meetings in winter, in the unheated Fen Ditton Village Hall, where only lively discussions and hot drinks kept us warm. We started off with a small collection of members and grew at every further meeting. We migrated to warmer rooms and continued until our final report was collated and handed over to Marshall; you can see it here: (https://www.scambs.gov.uk/sites/www.scambs.gov.uk/files/documents/Public_Art_Strategy.pdf). Emma was already thinking about the next stages, namely what could the buildings look like? Important factors were a decent living space, a sense of Cambridge and a degree of affordability in a city where many cannot afford to live and work. I was interested in these aspects but not necessarily expert myself, so invited along fellow participation group member and independent architect, Cambridge Association of Architects' Mart Barrass, to a talk with Emma. Emma floated the idea of an architecture competition, where local Cambridge architects could present their ideas and visions of a future Cambridge residential development. I thought it was brilliant idea. With Mart’s help, we set up a meeting with other Cambridge Architects. Marshall set to planning the competition during 2013, establishing guidelines and potential prizes. The result was the online invitation and brief. 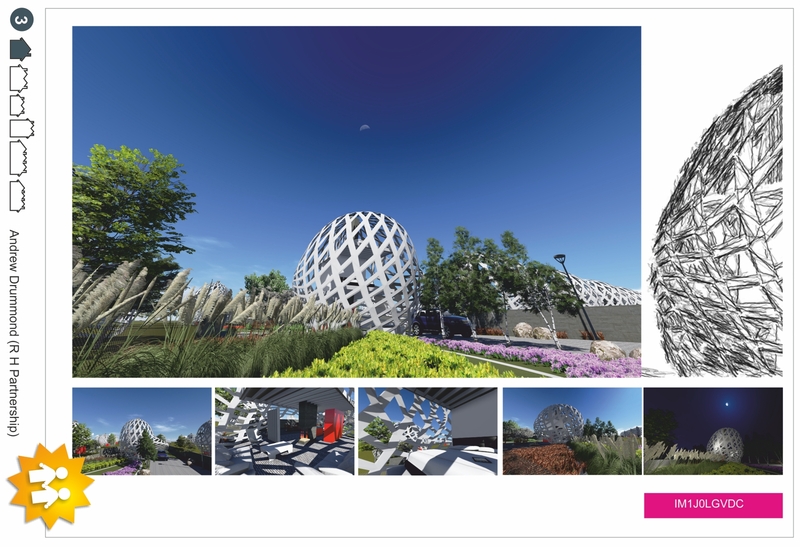 The idea was to favour the individual architects themselves and make it accessible to both students just entering the field and to professionals. Entries were in the form of designs printed and delivered on two A3 boards. In parallel, I suggested that digital copies could be sent, which we would then compile into a book as a permanent record of the event. The entries came in, first a trickle and then a flood in the final closing days. On the evening of the 27th November, the entries were all displayed on the walls of the old Marshall Parts Building on the North Works. Guests and entrants arrived for the viewing. Everyone was given small coloured adhesive tags to mark the pictures they thought best as part of finding the day’s public vote. The hall buzzed with conversation around the exhibits. The ideas competition asked entrants to explore the character of Cambridge. Some might have visions of established ancient colleges and Victorian or Edwardian Mews, perhaps with a small concession to the technological links with Marshall. What was unleashed was the playful creative side of Cambridge, yet with a serious aim of providing living spaces that were energy-efficient, aspirational and in many instances, fun to live in. The 34 entrants with 62 submitted designs were architects and students who either: lived in Cambridge; studied in Cambridge; visited Cambridge; and perhaps some who had simply heard of Cambridge. We residents take our little city for granted most of the time, not quite grasping its global and international impact and reputation. The competition being so close to Christmas, we decided to wait till January to get started on the book. After all, we had asked all entrants to provide their contributions in the form of no-nonsense high resolution JPEG images. The plan was to simply drop these into a book template with an introduction at the front and information about the prize winners and event afterwards. January. Chris Ellis, Emma’s Development Assistant, took over the liaison role. Using cloud technology to share and exchange files, Chris sent over the material and I began to look at the gigabytes of digital entries that we had received. Instead of straightforward image files, I found a kaleidoscope of different formats, and a backlog of entries still to be received. Sometimes you can have too much creativity. Fortunately, here at Milton Contact, we had several tools on hand and were able, over a number of days, to convert each and every entry into standard sized JPEG images that accurately reflected the originals. Then the core of the book, over 130 pages was designed and assembled. It “just” remained to add the introductory and the concluding sections, about 20 pages in all. If I wore a hat, I would take it off to Chris Ellis. Acting as the touchstone between what needed doing at Marshall and at Milton Contact, he remained calm and unperturbed. No matter what came his way, he dealt with it; from the need to get information from a holidaying contact in remote areas of Peru, to the delicate and important issues of changing names, partnerships and attributions. At last, the book was finished, proofread, approved, edited, approved again and finally ready to go to the printers in April. We chose a Cambridge company, the aptly named Cambridge Printers on Mercers Row. Because the book files were so enormous, I had to deliver them personally on a memory stick one mid-morning. By late afternoon, Steve Vaughan and his team had produced a beautiful full-colour proof. Just about to leave on a Bank Holiday weekend, I diverted via Marshall the next day, so Chris could see the proof and check it. A week later, I was able to deliver the final print run of the perfect bound copies of “DraWing Architectural Design Competition 2013” to Marshall. Yes, every book that Milton Contact works on is unique. However this one captures a particular moment in time in Cambridge and a particular character. The country was just about to come out of recession; the Cambridge-based company, Marshall, was willing to consider a redevelopment strategy in the light of its history within the community; Cambridge architects were given a chance to showcase their ideas; and local communities, organisations, artists, councils and academia had their input to this project. The Marshall Wing development may go in a totally different direction in the future, but we have a record of where we thought we could go in 2013. Copies available from Marshall of Cambridge (Airport Properties) Ltd.